In today’s corporate world, online presence is at the top of the business agenda. It is a fact that a well-designed web portal has become a prime focus of growth realities. Running a small or even a mid-size business is no easy task, as the daily work -load has no limit. Some inexperienced entrepreneurs try to achieve their target through online short cuts but this strategy never works. A consolidated website is vital for your business to harness the global market as well as the local clients. Your company’s website is a destination where you can prove yourself and your firm as one of the best product or service provider. Many fresh entrepreneurs consider websites a general advertisement option. This is a wrong idea. The web site has multi-dimensional objectives, primarily it is your communication tool .Through your business website you can communicate effectively with a majority of customers both local and international .If you think that your local business has regional limitations, even then, your website is the most reliant source of information for your regular clients who would also recommend you to their acquaintances. Suppose you are running a small cafeteria in a small town. Your regular client could easily recommend you to his next door neighbor by sending him your website’s link. This will in turn increase the number of customers without any publicity. Don’t forget that this is Google age where everything is searched at Google and is then purchased; therefore, whether big or small your business essentially needs an online presence with good Google rankings. This highlighted on-line presence will create an impression or reflection of the quality of business you are providing. By clicking on your website consumers get a chance to judge and decide whether or not to visit your business store or destination. It means that it is necessary that your company website should reflect the kind of quality your business is offering. To show up your small or simple business among the numerous competitors you need some assistance .Your website in this case will become your perfect assistant as it has multi functional properties like via your website you can post answers to frequently asked questions, draw new customers, explore or step into new markets and have a challenging encounter with your competitors. Remember this is not that age where customers just stroll around the market streets to pick their choice or survey for new products .Now everybody is scrolling down the search engine to check what is available in the market and your business review or customer’s online feed -back have become the real revenue generating parameters. Bing, Google, Yahoo, Yelp and similar sites are the real billboards where you can showcase your business website to attract more and more customers. Once you are familiar on the web your social -media page would quickly gain hype and there would be many online customers. To build –up your social-media interactions with potential customers, you can post your URL address as well as your local address, phone number and email on your business social media page. If suppose your shop or business is very small and located in a remote area, by visiting your website people can get information on how to locate you, what you are offering and how your services differ from others’ services and what's new your company is offering . Whether big or small your business website will help you to conduct important business activities, events or other trends and the worth of these activities would be monitored through your website as the website has the stored data and every information and business activities is assembled at your website in an organized way. Conclusively, business websites are vital nowadays for every size of business to generate optimum profits successfully. The main point is that your website should be comprehensive and attractive enough so get you identified among the swarm. 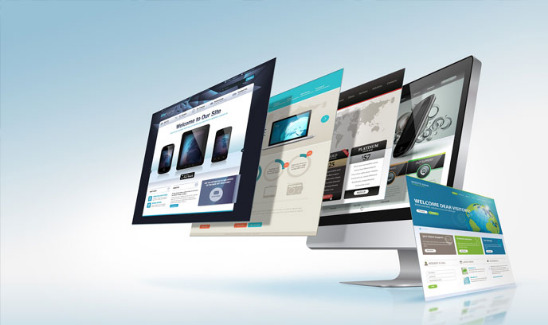 In contrast if you have created an unimpressive or vague website for your business, it is better to have no website then an indistinct website because an appalling website will destroy your business very badly.